Reminiscent of George Plimpton's oral biographies of Truman Capote and Edie Sedgwick, this oral biography of David Bowie is told through over 180 exclusive, original and insightful interviews with those who crossed the enigmatic pop star's path, from schooldays to mega-stardom. Dylan Jones is the multi-award winning editor of GQ magazine.He has been an editor at i-D magazine, The Face, Arena, the Observer and the Sunday Times. He is a Trustee of the Hay Festival, a board member of the Norman Mailer Foundation and was awarded an OBE in 2013 for services to publishing. He has written twenty books including the critically aclaimed When Ziggy Played Guitar and From the Ground Up, U2's celebration of their record-breaking 360° tour. 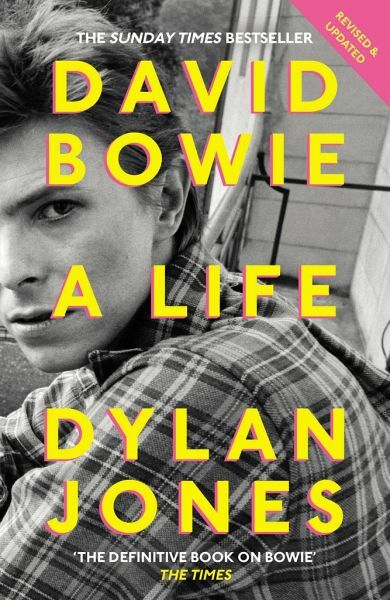 "The best book on David Bowie you’ll ever need or read."